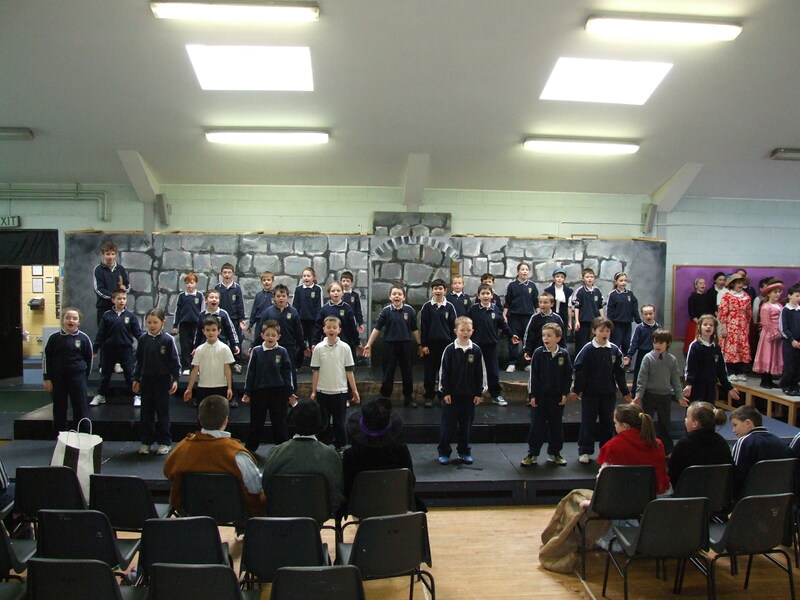 Over the past number of years, we have collaborated with parents, teachers, pupils and the wider community to produce a musical in the school hall. 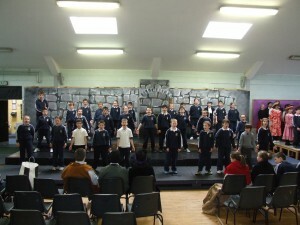 All pupils from 2nd – 6th class took an active part on stage in the musical. 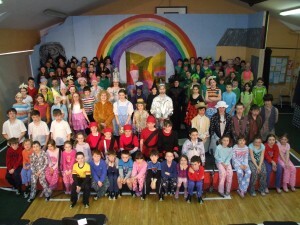 The school musical is a mammoth undertaking, however it generates such a great sense of community, teamwork and, ultimately, the pupils derive great benefits from participation on stage. 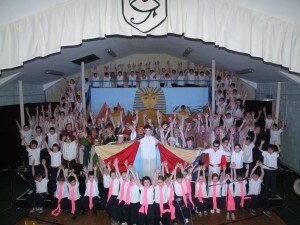 The musical is presented in the school hall which is transformed into a theatre for the duration of the production, complete with stage, set, lighting and sound system. It’s a really exciting event for all in our school: pupils, teachers, parents and the whole community. So far, we have presented “Scenes From Oliver” (2008), “Scenes From Joseph” (2010) and “Dorothy in the Land of Make Believe” (2012).